FOR IMMEDIATE RELEASE: Portland, Maine (April 26, 2018) – New England Fights (NEF) returns to Aura in Portland, Maine with its next mixed-martial-arts event, “NEF 34: Home of the Brave,” on Saturday night, June 16, 2018. Earlier today, the fight promotion announced the addition of a professional lightweight bout to the card. Reigning NEF MMA Professional Lightweight Champion “The” Ryan Sanders (15-9) will face Vince McGuiness (5-7) in a non-title bout at a fight weight of 155-pounds. Ryan Sanders has had a storied career in the NEF cage. He competed in, and won, the main event of the very first NEF card in February 2012 over veteran Dan Keefe (7-3). Sanders fought on ten of the first fifteen NEF cards, including the company’s co-promotion with Bellator in the spring of 2013. After more than a two-year absence from NEF, Sanders returned to the promotion in August 2016 and went on a five-fight win-streak over the course of the next year – the longest streak of his career. 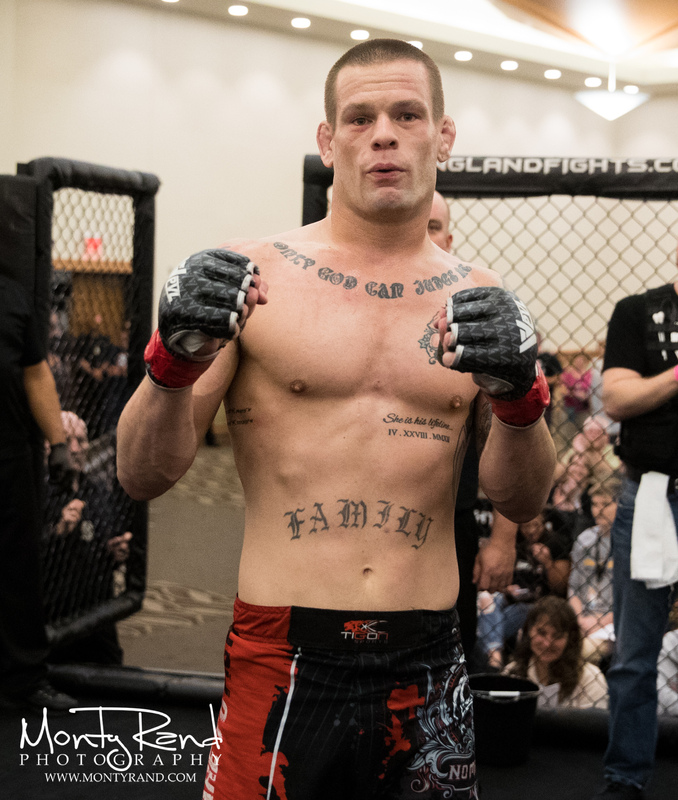 During that stint, Sanders captured his first gold in NEF – the coveted professional lightweight title – with a victory over Jon Lemke (7-8) last spring. The bout with McGuiness will be Sanders’ first in the NEF cage since August 2017. He will be looking to bounce back from a loss in Massachusetts last month. Sanders is a longtime member of Bangor, Maine’s Young’s MMA fight team. A native of Brooklyn, New York and current head coach of Bang Muay Thai in Tampa, Florida, Vince McGuiness is no stranger to the New England MMA scene. His two most recent fights have been in Massachusetts, and McGuiness has even competed previously on a Portland fight card in 2015. He will be looking to rebound against Sanders after losing his last four bouts in the cage.